Lock in a great price for Phosphorion – rated 9.3 by recent guests! 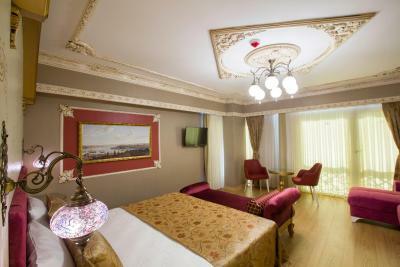 We love the location of the Hotel, it was very convenient. The room was big & comfortable. The staffs were very helpful & friendly. The breakfast was enough. The area is perfect for tourist . Shopping cannot be better. Everything is perfect about this hotel. it is marvellous how they make all their efforts to make you feel so comfortable and satisfied. all the waiters and stuff smile all the time and wait just to help you with anything you need. 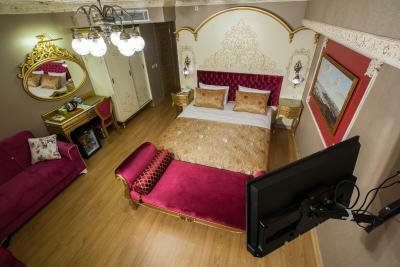 the rooms are extremely clean and big. the location of the hotel is simply PERFECT. 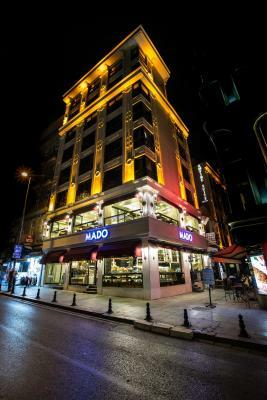 it is located in the center of a very vivid area with number of well known and great restaurants and traditional turkish sweets stores. 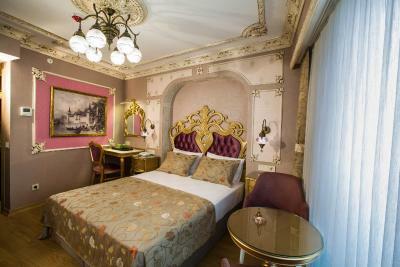 the hotel is located near tram and metro stations and it is so close to many of the famous historical places. 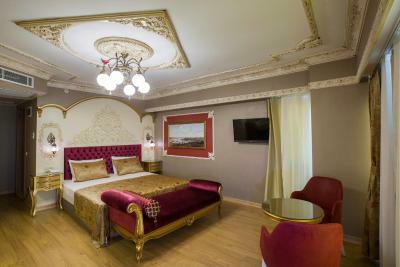 We definitely will back to this hotel in our next trip to Istanbul. 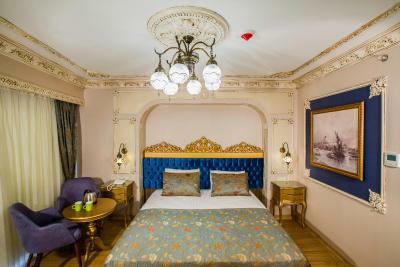 Located in the heart of Istanbul's vibrant old city property is only a few steps to Sirkeci Train Station and Eminonu Ferry Port. 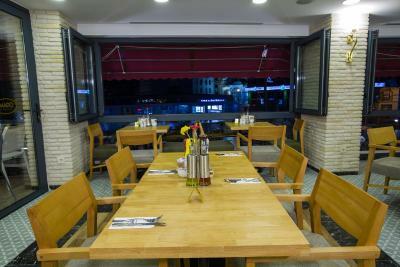 Fitted with BBQ facilities, this hotel offers Bosphorus and city view. 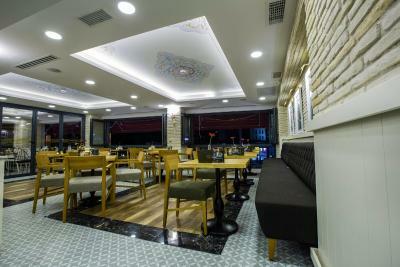 Guests can enjoy international and local foods at the hotel's restaurants. 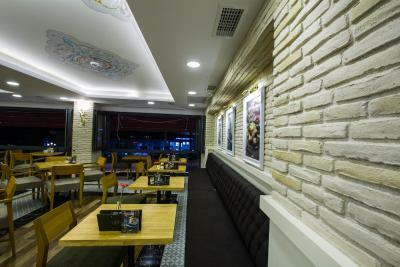 Phosphorion features free WiFi throughout the property. 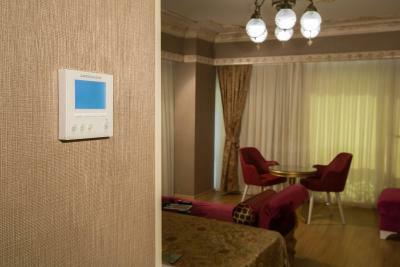 Air-conditioned rooms are equipped with a mini-bar, electric kettle and a flat-screen TV with satellite channels. 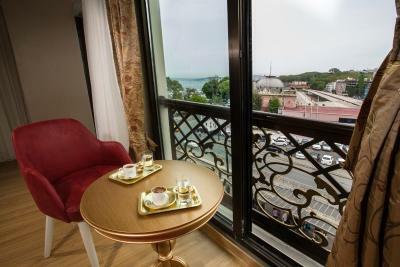 Some rooms offer Bosphorus view while others are overlooking the city. 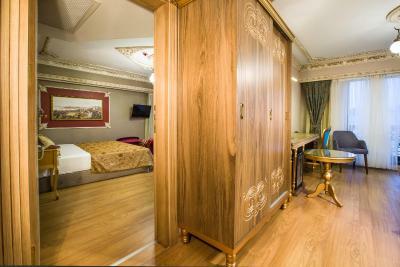 Decorated with warm colors and wooden furnitures, each unit has a seating area where you can relax. 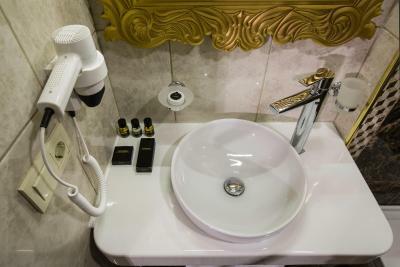 Private bathrooms come with a hairdryer, slippers and free toiletries for your comfort. 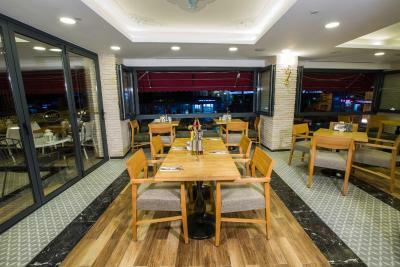 Guests can start the day with a breakfast served with fresh seasonal ingredients Phosporion Hotel. 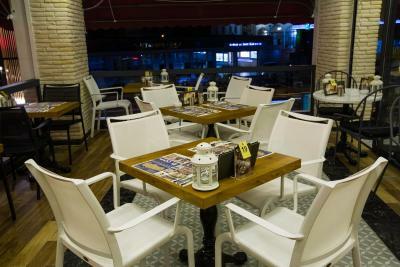 The surrounding area is very lively with many restaurants, cafés and bars to enjoy variety of dishes and drinks. Car and bike hire is also available upon request. 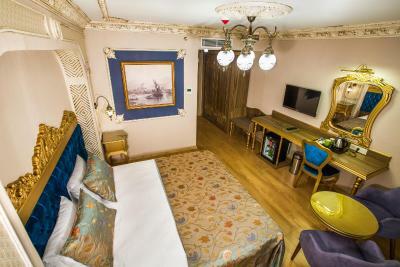 There are also Bosphorus boat tours departing from Eminonu Ferry Port which is 650 feet from the property. 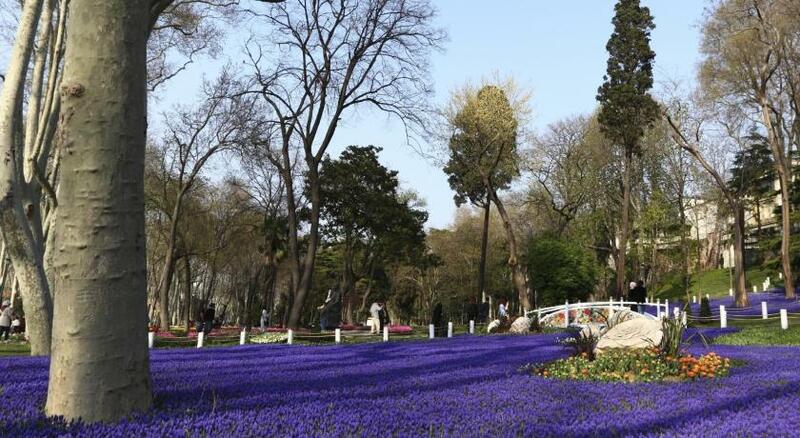 Istanbul Archaeological Museum is a 10-minute walk from Phosphorion, while Topkapi Palace is 2,950 feet away. 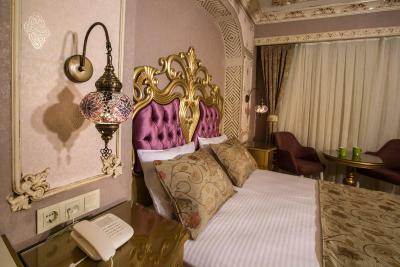 You can visit the famous Spice Bazaar which is located 1,300 feet from the hotel. 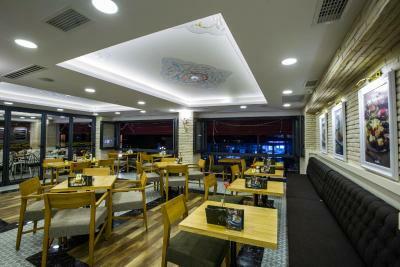 The nearest airport is Ataturk Airport, 11 mi from the hotel. Airport shuttle can be arranged upon request at a surcharge. Istanbul Airport is 32 mi away. 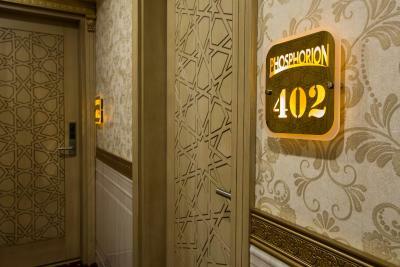 When would you like to stay at Phosphorion? Featuring a sea view, this air-conditioned room has a flat-screen TV with satellite channels, mini-bar and a safety deposit box. 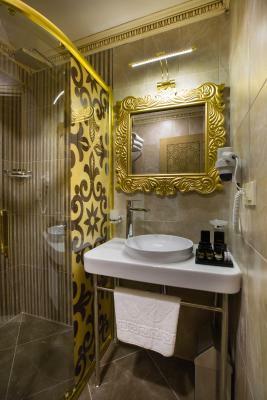 Private bathroom is equipped with a hairdryer, a shower and free toiletries. 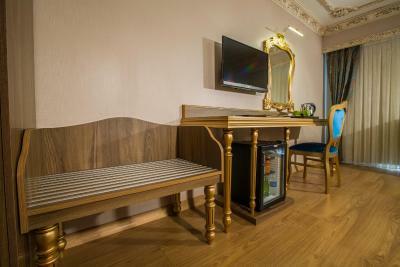 Featuring a sea view, this air-conditioned family room has a flat-screen TV with satellite channels, mini-bar and a safety deposit box. 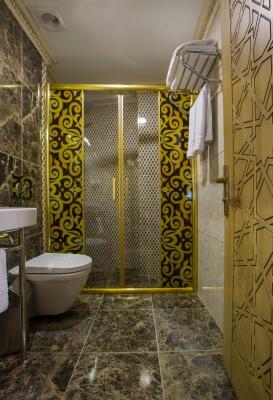 Private bathroom is equipped with a hairdryer, a shower and free toiletries. 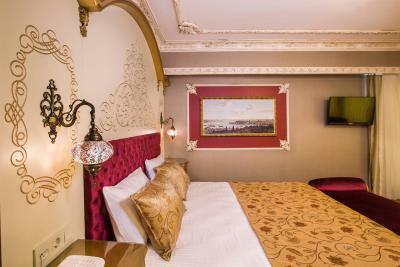 Featuring a city view, this air-conditioned suite has a flat-screen TV with satellite channels, mini-bar and a safety deposit box. 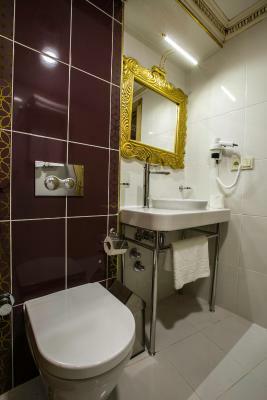 Private bathroom is equipped with a hairdryer, a shower and free toiletries. 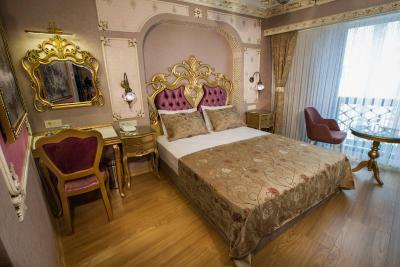 This double room has a electric kettle, satellite TV and soundproofing. House Rules Phosphorion takes special requests – add in the next step! Debit card Phosphorion accepts these cards and reserves the right to temporarily hold an amount prior to arrival. Phosphorion accepts these cards and reserves the right to temporarily hold an amount prior to arrival. 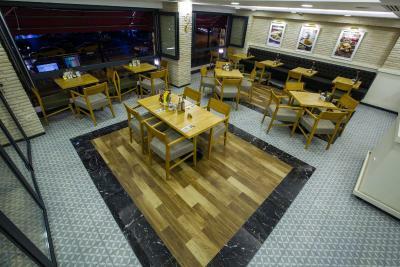 During Ramadan period, guests can choose between Sahur meal or breakfast. 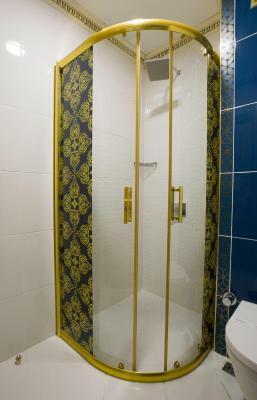 Great location, staff, comfortable rooms and tarnsport at your door. 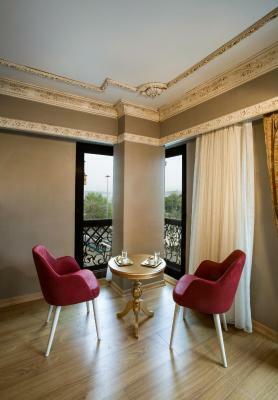 The stuff treats us a rude way when I invited my Turkish friend to get a cup of coffee with me in the room. Some one stand in front of my room waiting my friend to get out the room like a security man keep my door open. That’s rude way. Nothing for the engaged traveler wanting to experience other cultures. Could see where is is less appealing to travelers who want the familiar. 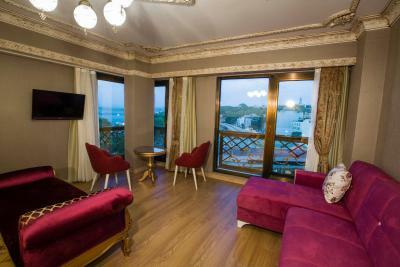 Great location on the south side of the Golden Horn. Subway and tram lines just out the front door. 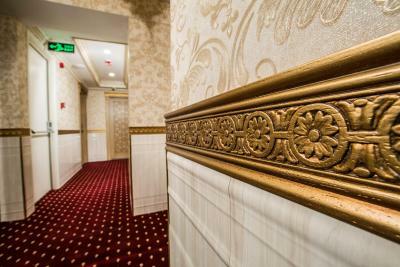 Easy access to the entire city both walking and by public transportation. Staff were extremely friendly; for some cultures this friendliness might be a bit overwhelming. We enjoyed our stay. Breakfasts are Turkist. Not fried beans, sausage or bacon etc. Instead typical breakfast salads. 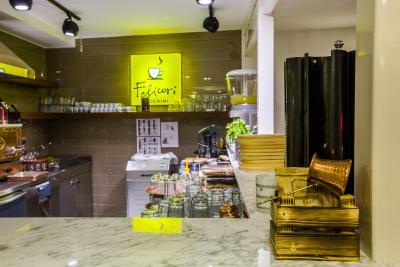 Unlimited Turckist coffee and tea, and any style of coffee. No alcohol served on the premises. BYOB Hotel lobby is actually the street level cafe and sweets store. 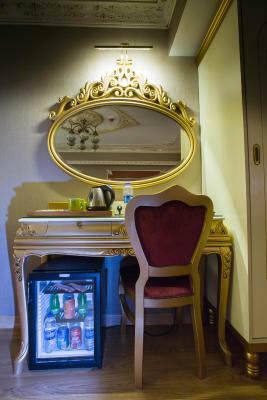 Staff went above and beyond to make us feel comfortable. Great location and wonderful view. The water was not available from 2:00 am until 7:00 am and when I called they gave silly excuses that all hotel are out of water ! I paid money and I have my baby with me and they should have planes for cases like this ! Only one elevator and the hotel is full adding to this they gave me a room on each flat so it’s not good for group travel at all. Room service did not change towels and didn’t clean the room at all only they set the bed . Location , they gave me complimentary tea water every day. And it’s not on the room you have to ask for it . 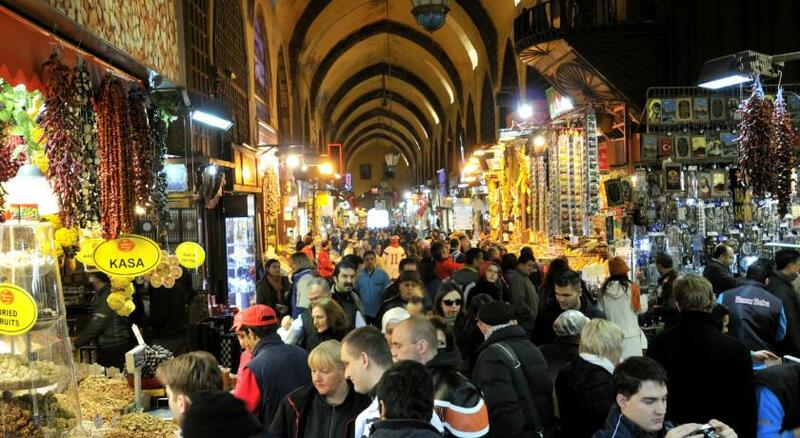 Everything was perfect if you wish to visit the old town and Misri pazar.. everything near you. Tram starion and metro (Marmaray) just opposite the door.